When considering jobs in criminal justice, most applicants tend to focus their job search on local or state agencies. If they consider federal law enforcement jobs, typically they look for careers with the FBI, Secret Service or U.S. Marshals. One often overlooked career choice is within the branches of the United States Military as a member of the Department of Defense civilian police forces. 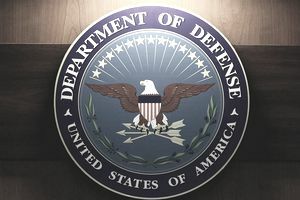 To free up military personnel so that they are available for deployment if need be, the Department of Defense employs civilian police officers. These officers augment the military police and assist in providing base security and law enforcement functions. Department of Defense police officers work in a number of different environments, at military installations across the United States. Each branch employs its own police officers, who all fall underneath the umbrella of the title DoD police. Also, the Pentagon has a police force that also falls within this category. DoD police are uniformed officers who serve functions similar to those of their patrol officer counterparts within civilian communities. Their jurisdiction is generally restricted to the military base on which they are assigned or on installations under the control of their respective employing military branch. Civilian DoD police officers handle investigations of minor violations of the Uniform Code of Military Justice. They provide general law enforcement services on base. At times, they may be called on to assist with special investigative units, such as NCIS agents, to provide a uniformed law enforcement presence when circumstances require. Like other law enforcement agencies, DoD police forces also offer several career specializations. Â Officers can become traffic crash reconstructionists, K-9 handlers, and investigators. Also like other law enforcement agencies, DoD police perform shift work. Officers may be called to work all hours of the day, as well as holidays and weekends. Each branch of the military sets its own requirements, though these requirements are largely universal. A college education is not required, but college graduates may be employed at a higher rate of pay. All candidates must be high school graduates. Preference is generally given to military veterans. Those with prior law enforcement experience may be given preferential consideration, also. Candidates for DoD police officer jobs must undergo a medical screening to ensure they are physically capable of performing essential job functions. A background investigation will also be required. This may include a polygraph exam, credit check, and employment history check. Upon appointment, applicants will attend training at one of the several academies across the United States. Academy training typically lasts 3 months. After graduation, newly hired officers will report to their duty assignment to begin field training. Efforts are underway to transition military police positions to civilian positions so that more military personnel will be available for extended tours and deployments. As a result of this, the number of civilian Department of Defense police officers is expected to grow significantly. Officers are typically hired at the GS-5 pay rate, which can range from $31,000 to $40,000 annually, depending on the location of the duty assignment. In addition to the salary, officers are eligible for federal health and retirement benefits. If you are interested in law enforcement, working as a DoD police officer can provide many unique and rewarding experiences. You will be in a position to serve both your community and your country, while at the same time assisting members of the armed services.